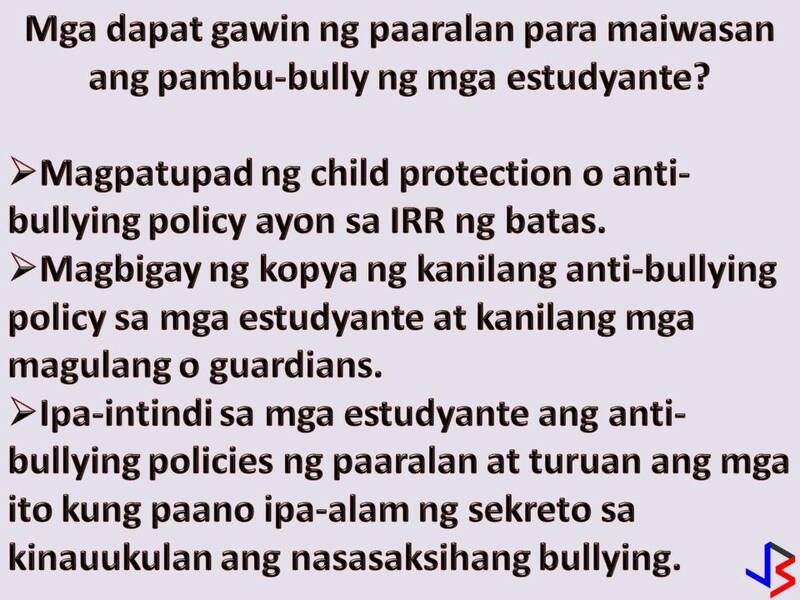 Bullying in school still exists in spite of the passage of Republic Act 10627 or Anti-Bullying Act in 2013. This is one of many problems in school grounds or campuses all over the country that greatly affect the emotional, psychological and even physical well-being of a student. Bullying knows no age in school, it all happens in kindergartens, elementary, high school or even college students. 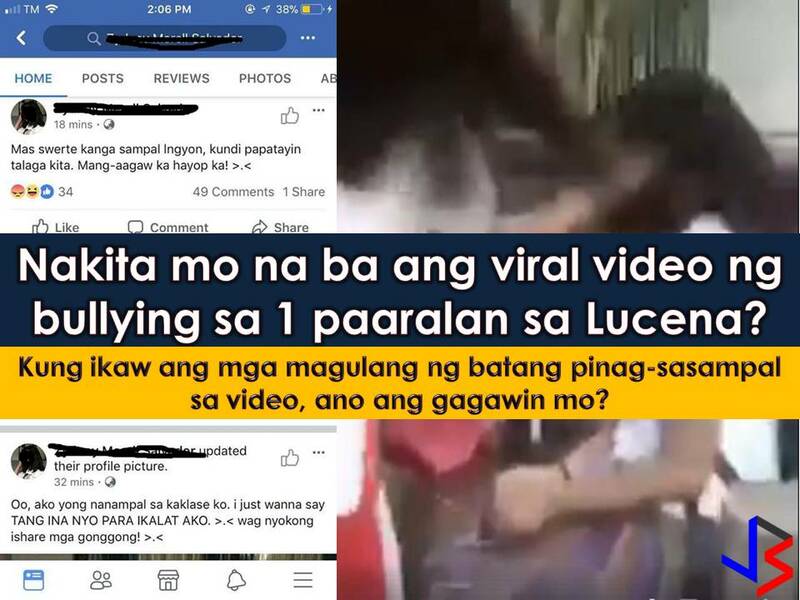 For a few days now, this video of a female student being bullied particularly being slapped repeatedly and threatened by her co-students circulated on the internet. It seems that bullies in this video did not know about 'The Anti-Bullying Act of 2003". 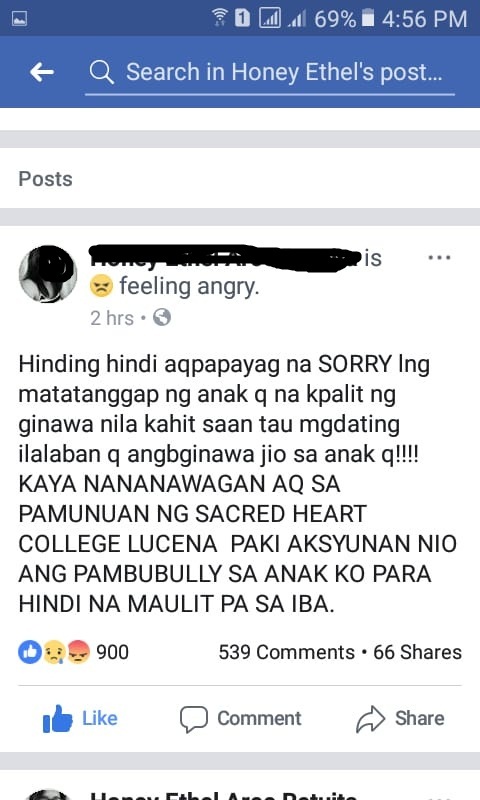 Here is some post of the alleged bully student of Sacred Heart College who repeatedly slapped her classmate in the video. 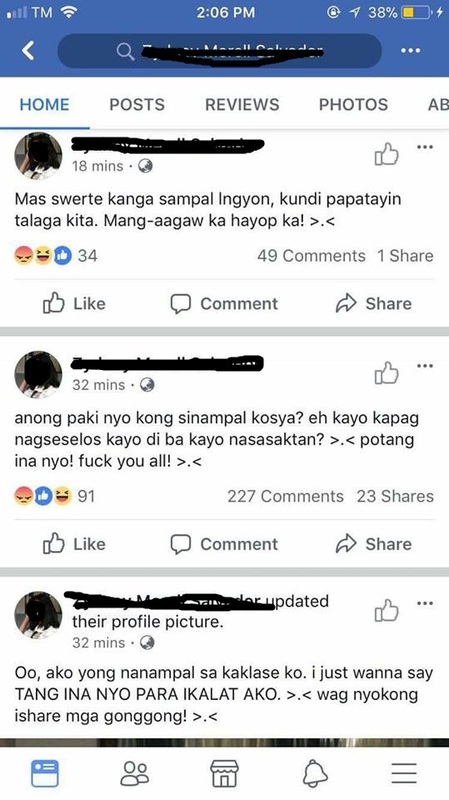 On the other hand, the mother of the victim who appears to be OFW said in her Facebook post that a "sorry" won't help in the incident. She is also demanding to the school to do something so that bullying will not happen again. But what is bullying in the very first place? 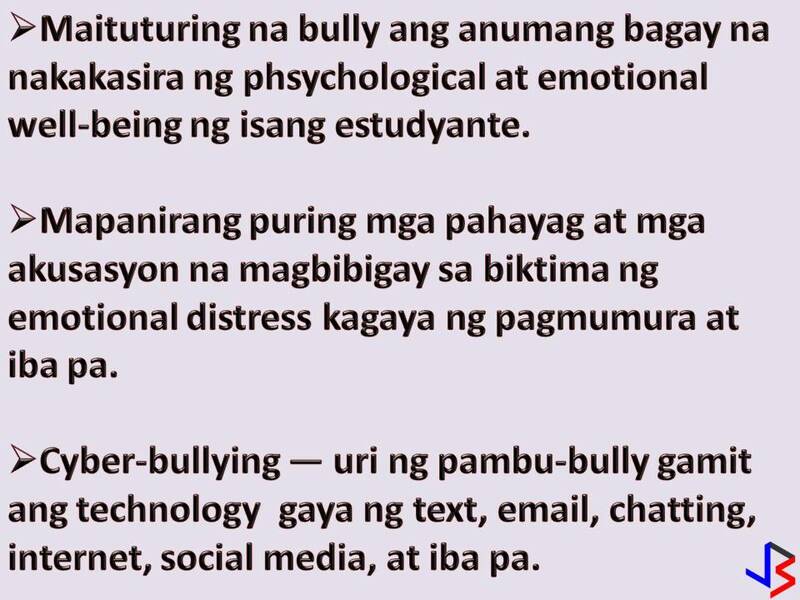 Cyber-bullying or any bullying is done through the use of technology or any electronic means. The term shall also include any conduct resulting to harassment, intimidation, or humiliation, through the use of other forms of technology, such as, but not limited to texting, email, instant messaging, chatting, internet, social media, online games, or other platforms or formats. Social bullying, or any deliberate, repetitive and aggressive social behavior intended to hurt others or to belittle another individual or group. 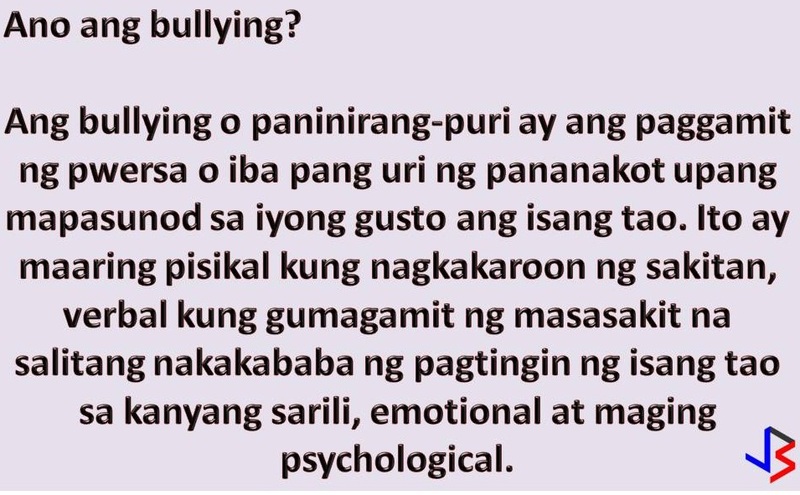 Gender-based bullying, or any act that humiliates or excludes a person on the basis of perceived or actual sexual orientation and gender identity. As such, any person who commits any of the foregoing acts is considered a bully. Furthermore, any act of retaliation against a person who reports bullying, who provides information during an investigation of bullying, or who is a witness to or has reliable information about bullying, is likewise prohibited. Where may bullying be committed? School buses or School services privately-owned but accredited by the School. Bullying may also occur at unrelated locations, functions or programs, through the use of technology or an electronic device or other forms of media, regardless if such is owned, leased, or used by the School. What schools should do under the Act? L. Coordinate with appropriate offices and other agencies or instrumentalities for appropriate assistance and intervention, as required by the circumstances. The school principal or any person who holds a comparable role shall be responsible for the implementation and oversight of the child protection or anti-bullying policy. All public and private schools shall include in the school’s child protection or anti-bullying policy a range of disciplinary administrative actions that may be taken against the perpetrator of bullying or retaliation. Bullying incidents or retaliation shall be treated according to their nature, gravity or severity and attendant circumstances. 1. 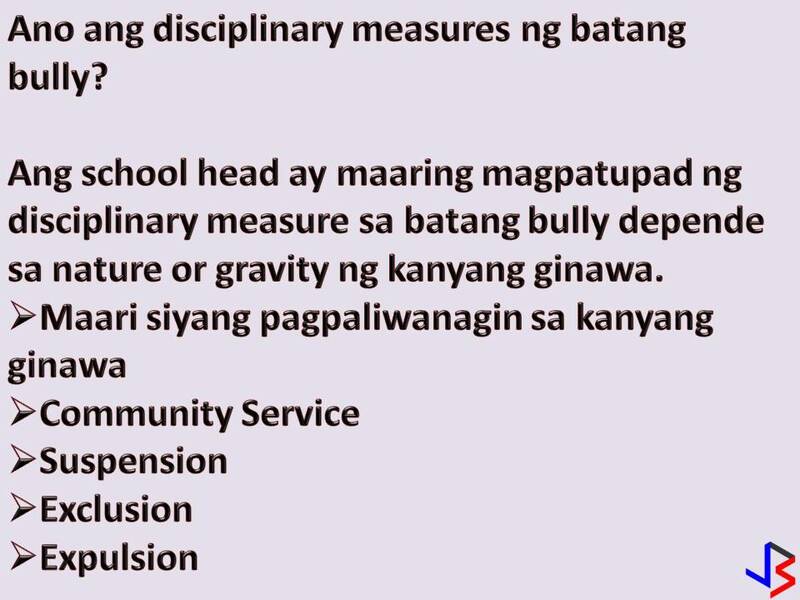 The school head, considering the nature, gravity or severity, previous incidents of bullying or retaliation and attendant circumstances, may impose reasonable disciplinary measures on the bully or offending student that is proportionate to the act committed. 2. A written reprimand, community service, suspension, exclusion or expulsion, in accordance with existing rules and regulations of the school or of the Department for public schools, may be imposed, if the circumstances warrant the imposition of such penalty, provided that the requirements of due process are complied with. 3. 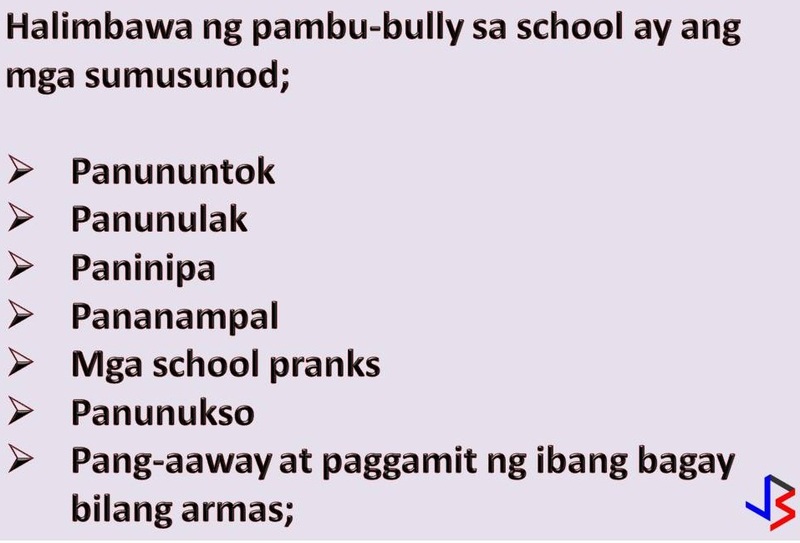 In addition to the disciplinary sanction, the bully shall also be required to undergo an intervention program which shall be administered or supervised by the school’s Child Protection Committee. The parents of the bully shall be encouraged to join the intervention program. 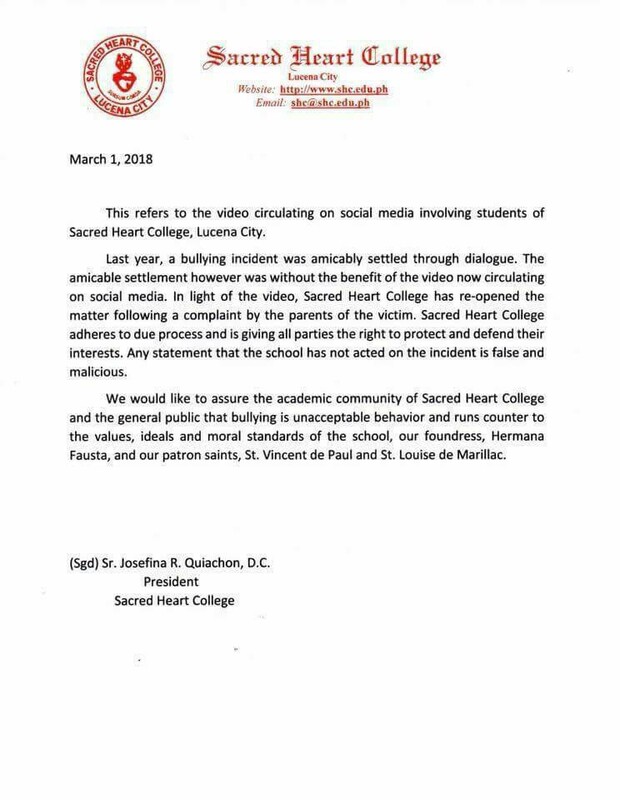 The video of bullying above appears to happen in Sacred Heart College in Lucena City and below is the statement of the school address to Department of Education regarding the incident.